ChargedbyTV is a micro USB 2.0 power cable for your streaming media device like Google Chromecast, or Roku. 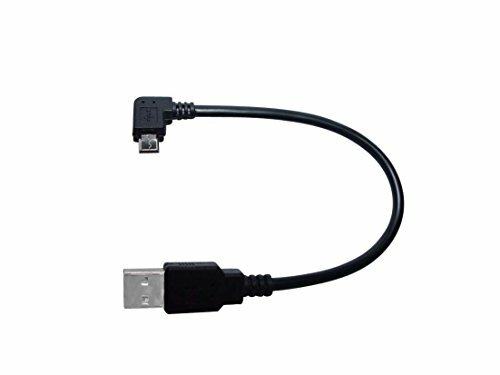 The setup with this six inches long electronic power supply cord is very easy. There is no remote control or fancy adapter are necessary. It is not like learning how to start a fire in the wild either. 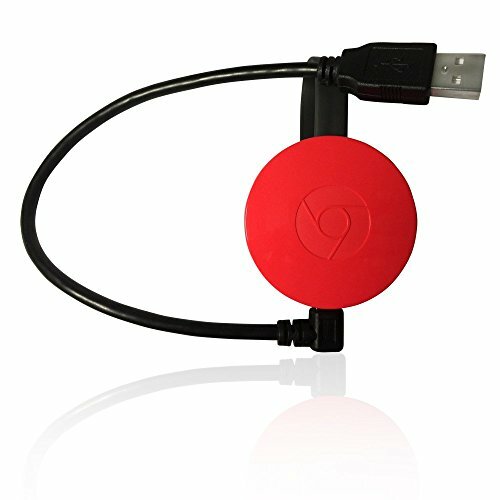 For example, just plug your chromecast device onto your television set. 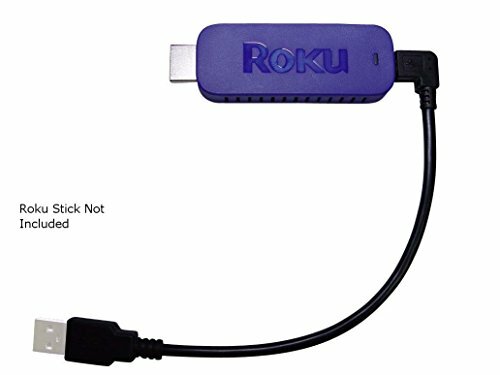 Make sure HDMI port is next to USB extension on your TV. 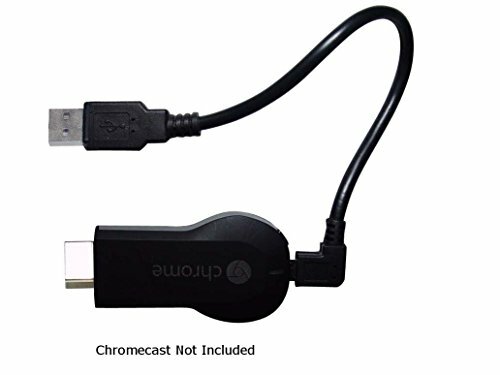 Simply plug the small end of the ChargedByTV cable onto your Chromecast device and larger end into USB hub. You are all set. Please check out our customer reviews and enjoy your favorite sports games, apps, books, hbo series, best hd video, all departments of Netflix, chrome casting & internet movies. We offer lifetime warranty on this store for either replacement or money back guarantee. 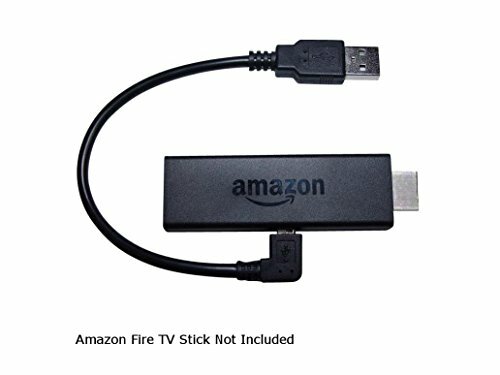 Go click on add to cart button and enjoy the cheap alternative to expensive cable TV! The secret to enhancing your TV's professional look is by eliminating the clutter formed by almost 5 feet long charger cable provided by streaming media devices. Save your self from embarrassment of loosely hanging power supply cord coming out from behind your exquisite flat screen TV by adding ChargedByTV to your cart. Add a great compliment to your interior design skills and flat panel TV! 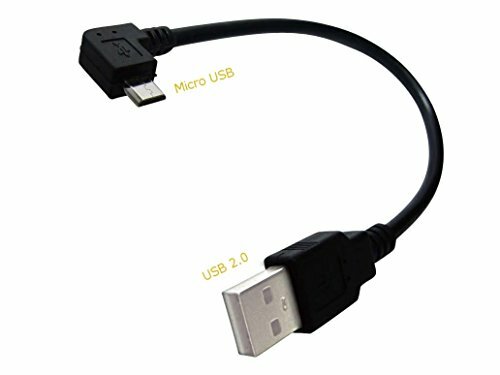 This new Top quality 6 inches long flexible and sturdy wire was elegantly designed with sufficient length for its function. Best Lifetime Gaurantee. Please see images for references and it's suitability. The contour of 90 degree angle of the connector forms harmonious configuration in close-fitting space. 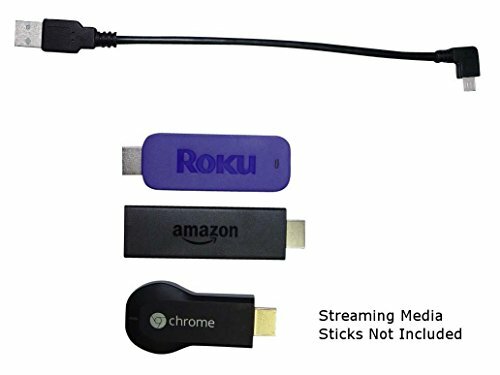 Chromecast and Roku streaming media sticks are not included. Please Note: USB Port behind your TV is alongside of HDMI Port. Buy now! You are on Fire! If you have any questions about this product by ChargedByTV, contact us by completing and submitting the form below. If you are looking for a specif part number, please include it with your message.